Teaching the vital part that bitterness plays in an unsatisfied life is a way to awaken an awareness of an insidious trick of the enemy. Although many people feel justification for feelings of anger, jealousy, and resentment towards individuals, is it really a biblical-based way to live? Sermon audios on bitterness can take a close look at this common problem that exists within the body of Christ right now. 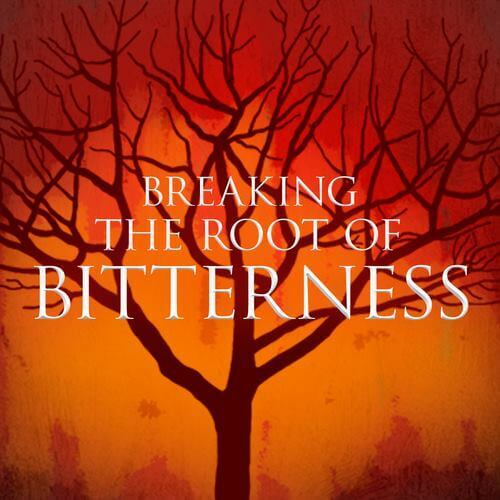 As a result, allowing bitterness to take root in your life and grow can produce character traits that are not pleasing to God. This is considered the fruit of bitterness. It is not the kind of character traits that offer spiritual nourishment and refreshment. It is the fruit of jealousy, hate, envy, vengeance, sowing discord, disrespect, anger, and ultimately can challenge your ability to gain eternal salvation. Sharing wisdom, knowledge, and understanding with fellow believers with sermon audios on bitterness can help pave the way for positive change. Bitterness is a heart condition that is tied directly to a state of unforgiveness. In other words, not being able to offer complete forgiveness to people in your life. Whether it be past or present, unforgiveness plants the seeds of bitterness in your heart which can grow stronger over time. Be quick to forgive those that offend. Oftentimes people are lost and may not have a relationship with our Savior, Jesus Christ. See this as an opportunity to introduce Him. Share His love and show the compassion to them that Jesus has shown for us all. These seeds can grow and bear the fruits described above. Explain to them how forgiveness will set them free! The Holy Bible demonstrates the low track your life can take if you allow bitterness to control your every emotion and deed. King Saul felt his pride diminished when people gave reverence to David after he slew the giant Goliath. David ended up having to live a life in hiding until the death of Saul. Sermon audios on bitterness can detail the destruction caused by allowing bitterness to take hold in your life. Creating uplifting sermon audios on bitterness should include a message of hope and healing. Jesus provides the best instruction for developing the ability to forgive, which brings the reassurance you have been forgiven by God. 1 Corinthians 13:4-6 Love is patient and kind; love does not envy or boast; it is not arrogant or rude, does not insist on its own way; is not irritable or resentful; does not rejoice at wrongdoing, but rejoices with the truth. Be encouraged and practice the walk of forgiving transgressions and destroy the seeds of bitterness that try to take root in your life. We encourage you to create quality sermon audios on bitterness for your ministry. Messages that will captivate and inform the listener of the importance of developing the desire to forgive and let go of negative emotion. As a result, true healing will come that lasts a lifetime. Any day and time are perfect for giving your heart to Jesus. First, let Him take on the burdens. Furthermore, receive the peace of God today by confessing that Jesus is Lord in your life. Matthew 11:28-29 Come unto me, all ye that labour and are heavy laden, and I will give you rest. Take my yoke upon you, and learn of me; for I am meek and lowly in heart: and ye shall find rest unto your souls. I can assure you that a weight will be lifted and life will be better. Therefore, take hold of the promises of God and live a life that pleases Him and so beneficial to you. Furthermore, study the book of Matthew and the teachings of Jesus when He gave the Sermon on the Mount. Sermon audios on bitterness can strengthen one’s faith and help give us great understanding that it’s good to forgive and turn to Jesus. He is our refuge. Proverbs 8:10 The name of the LORD is a strong tower; The righteous runs into it and is safe. Learn more about how you can become a partner with KNCBN and share your teachings on bitterness. Contact us today.